Sixteen houses built in 1940 once stood on Thom Street in New Lynn. But now, they'll make way for a new 82 houses that will house almost 300 people. 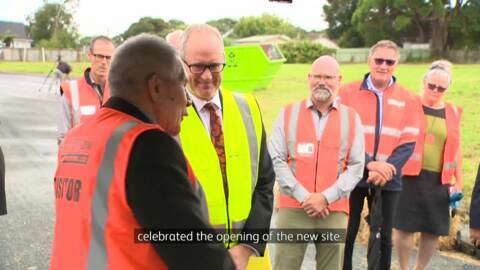 Minister of Housing, Phil Twyford says the homes are aimed at reducing homelessness and to alleviate the growing pressure on the rental market. A Rotorua emergency housing provider has raised concerns over the government's scheme to build 100,000 new homes in the next decade. Visions of a Helping Hand general manager, Tiny Deane says for many families home ownership will still be unaffordable. The Race Relations Commissioner has asked a United Nations committee to urge the New Zealand Government to have an inquiry into the physical and sexual abuse of children and disabled people held in state institutions. The Government today announced an annual $2 billion Family Incomes Package to help around 1.3 million families by, on average $26 per week. 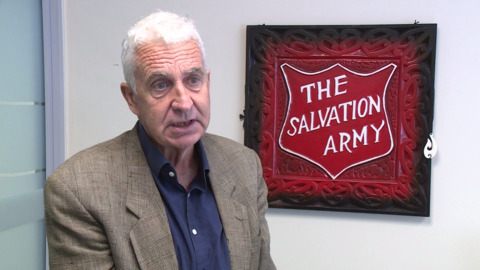 This follows its $2.23billion state-led housing building programme for 34,000 new Auckland homes, but Roturua locals say the regions are also in need. Community Housing Aotearoa and Philanthropy New Zealand are looking at finding urgent solutions to build more homes for those in need. Hundreds and thousands of people will be affected by the Housing Legislation Amendment Bill being rushed through parliament. Green Party leader Metiria Turei says those who have rights to lands being taken under the Public Works Act may not have those rights anymore. A High Court legal challenge is being prepared to halt the government’s plans to sell state houses in Tauranga. State Housing Action Incorporated was registered as an incorporated society last week and will become the plaintiff in the planned judicial review. Ngāti Ranginui is looking to purchase 115 state homes in Tauranga under the contractual right of Right of First Refusal. Lead settlement trustee Robert Urwin says, "It’s an opportunity to provide housing for Ngāti Ranginui descendants."